If you know me or have listened to any of the podcasts I regularly produce, then you know I am a gadget addict. Whether it’s computers, tablets, smartphones or game consoles, I always want the newest shiny piece of technology. And when I say what, I mean need. But, since I’m just a regular joe and not a muli-million-selling author (yet), I can’t get every gadget that comes along. So, I try and only indulge on the gadgets that I can justify as being relevant to my day job or to my writing work. But Christmas is different, as it’s the one time of year I can con someone else (usually my wife) into getting me some shiny new gadget. And while I’ve had my eye on a few different things, the one I circled on my Christmas list this year was the new Asus Transformer Book T100. Why, you ask. 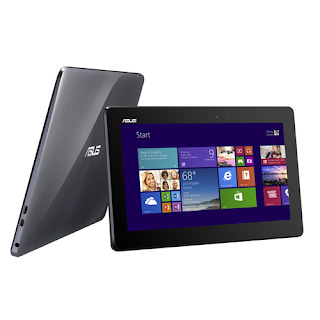 Quite simply, because it’s a great tablet/laptop hybrid that runs a full version of Windows. Which means I can install and use all of the programs I need to make the table a complete writing tool. One of the biggest issues I have right now is that Scrivener’s iPad app hasn't come along yet. I love Scrivener, and I've used it for all of the books and short stories that I've published thus far. I draft most of my projects in Google Docs, which I can use anywhere, on anything. But when I get into the final drafting and editing stages, I need my Scrivener. And now, I can have it on a device that I can take with me wherever I go. I can also run Steam (for gaming) Audacity (for audio editing) and my Skype recording program (for podcast interviews) on the T100, meaning I can pretty much do everything on it. Now, the T100 only has 2 GB of RAM, so it’s not a multitasking powerhouse, but the new Bay Trail Atom processor means the T100 has a ton of battery life and can handle most of what I’ll be suing the tablet for. 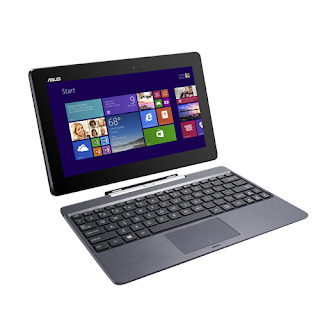 Add in the full keyboard and the multi-touch screen for tablet use, and the T100 is a pretty sweet little machine. It’s best trait may be its price point, which is regularly $349 for the 32GB model. We grabbed one for myself and my daughter for $299 apiece during a one-day sale at Best Buy. I’ll be putting the machine through its paces over the next several months, and I’ll blog about it here. But if you’re a writer who uses Scrivener regularly and is used to Windows, this little hybrid may be your best bet right now. Everything was going so well. I’d just come off a very successful NaNoWrimo 2013, having clocked in over 60,000 words during the month of November. I had my new writing routine firmly established--waking up at 5am each morning and writing for at least an hour before work. I was well on my way to finishing the first draft of Lovecraft’s Pupil, the sequel to my just-released Lovecraft’s Curse. And then Christmas 2013 happened. Actually, it started on Friday the 20th. Both of my kids got out early from school, and they were on Christmas vacation from there on out. The weekend was filled with basketball, Christmas shopping and getting ready for incoming family. In any case, there was no writing done that weekend. And there has been no writing done since. That last six days have been a whirlwind, and my streak of writing has been shattered. The scene I had been writing seems a million miles away, and it feels like I haven’t touched my manuscript in ages. This isn't the first time my writing routine has been derailed. in fact, it’s happened countless times since I started writing. I think all writers suffer through periods of inactivity for one reason or another, which in a way is comforting, as it’s something we all share in common. What really matters is what you do about it when you hit one of these writing funks. For me, the answer is easy--I blog. In addition to this write, I have a gaming blog (Co-Op Critics) and a pop culture blog (Secret Identity) that I also maintain. So for me, the answer to getting my writing back on track is exactly what I’m doing with this blog post. I write about comics, I write about games, and I write about...writing. This is not news to any of my writer friends out there. When you’re a writer, the answer to anything that derails you is to simply keep writing. Now if you’ll excuse me, I need to go crank out a few more blog posts before I jump back into that manuscript. I talked a bit in my last post about how video game soundtracks are becoming a big part of my writing playlists. I’ve been working on the sequel to Lovecraft’s Curse for the past month and a half, so I’ve been favoring horror-themed soundtracks as my background music. One super-creepy album that has gotten me through writing scary scenes is 2008’s soundtrack for the horror game Siren. 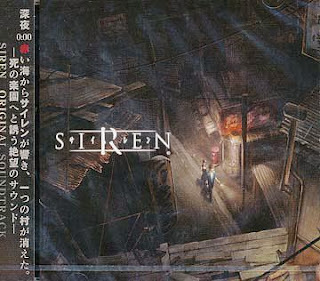 Siren was a 2004 PlayStation 2 survival horror game set in a small Japanese village where an attempt to resurrect an ancient god turns many of the villagers into walking corpses, who are hunting down the remaining survivors as they await their god’s return. Despite having pretty bad mechanics, the game was scary, due in no small part to the fantastic soundtrack. Hitomi Shimizu and Gary Ashiya created a score for Siren that is dripping with dread. Lots of ambient sound that fades in and out, chanting voices and well-placed sound effects create a constant sense of tension that is occasionally punctuated by outright terror. It’s a fantastic soundtrack to write horror to, especially is what you’re writing deals with rituals, the occult or just cosmic weirdness. You can import the soundtrack for Siren from Japan here, and if you want to read more about the Siren music, Hitomi Shimizu was interviewed by Silicon Era a few years ago, when Siren: Blood Curse was coming out for PlayStation 3. When I write, I need some sort of background noise, and music is my background noise of choice. For the most part, I prefer instrumental music, as I tend to get distracted by words (although I do mix in a healthy dose of 80's metal). I've found that video game soundtracks have become my music of choice, especially over the past month, as I've been writing daily for NaNoWriMo. 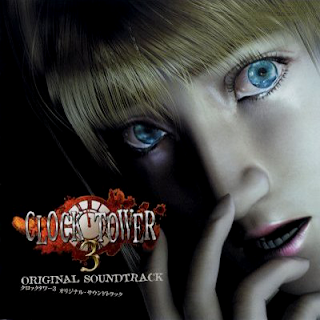 So, I figured I'd start posting about some of the music I've been listening to as I write, starting with one that I just kind of stumbled upon, but really like--the soundtrack to Clock Tower 3. For those not familiar, the Clock Tower series is a survival horror series that began in 1995 (I first played the original on the PlayStation). As opposed to the more action-based horror games of today, Clock Tower was primarily about avoiding enemies that were much more powerful than you, while solving puzzles and exploring. While Clock Tower 3 deviated a little from the series formula, the soundtrack certainly captures the feel of the series. Most of the songs on the album are short, and many of them have a panicked feel to them that you would associate with being pursued. Others range from foreboding to very sad, and feature some great strings, piano and percussion. As a total package, it's very atmospheric. As a writer of horror, I really like using this soundtrack to fuel some of the scarier scenes, or those where there is a race against the clock. Fun, creepy stuff. 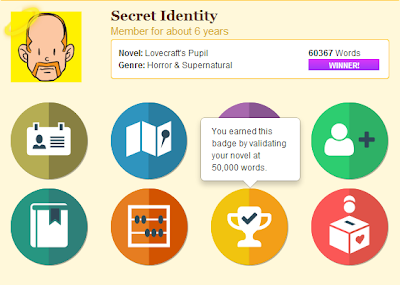 So, NaNoWriMo 2013 ended last night at midnight, and I finished the month with just over 60,000 words written, a personal best for me. This is the third time I've completed NaNoWriMo (2007 and 2011 being the previous ones), but it was the first time that my draft wasn't complete at the end of the month. If I had to estimate, I'd say Lovecraft's Pupil is about 85% done at this point. there are at least three major scenes that I still need to write, and there will be no days off from writing until this draft is finished. There's no way I'll be losing the incredible amount of momentum I've built up writing almost 2,000 words a day for the past thirty days. So, as I march onward into December, I want to congratulate every single person who participated in NaNoWriMo this year. Whatever your word count at the end of the month, you took part in something special. Now you need to build on what you've created. So, take a nap, let your draft sit for the next month or so, and then get back at it!